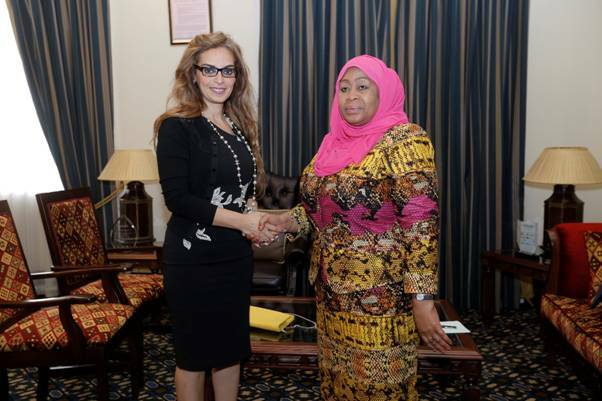 During the high-level meeting between Her Excellency Vice President, Dr.SamiaSuluhu Hassan and Dr. Rasha Kelej, the CEO of Merck Foundation, Merck Foundation commits to a long term partnership with the Government of Tanzania to build healthcare capacity and improve access to innovative and equitable healthcare solutions across the country as part of their CSR programs across Africa. 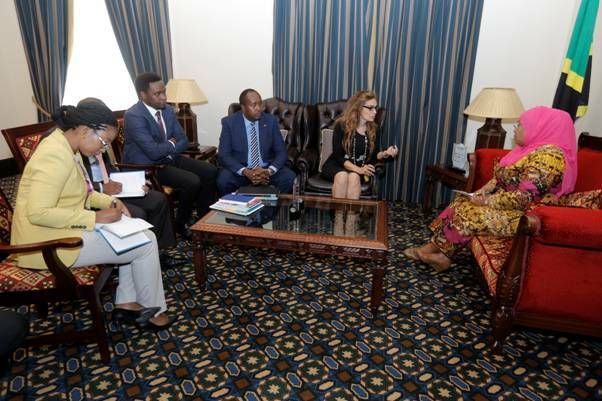 Merck Foundation will focus on providing one year and two years Surgical and Paediatric oncology fellowship program in India, Europe and University of Nairobi for Tanzanian doctors to improve the cancer care in the country. They will also focus on empowering infertile women through access to information, awareness, health, change of mind set and economic empowerment across the country through their ‘Merck more than a Mother’campaign. “The prevalence of infertility is so high in Africa , one every four couple in reproductive age suffers from infertility and yet around 85% of those cases are due to untreated infectious disease which can prevented , hence raising awareness about prevention through local media and social media is very critical”, Rasha Kelej said. From left to right: Ms.Maulidah Hassan, Assistant to the Vice President of the United Republic of Tanzania; Dr Nicholaus Stephen Mazuguni, MD, MMED(O&G) Embryology Training Alumni; Mr Leonard Saika, Program Director Merck Foundation; Dr Rasha Kelej ,CEO Merck Foundation and H.E. Dr SamiaSuluhu Hassan, Vice President of the United Republic of Tanzania. “Raising awareness about male infertility as the infertility affects women and men equally and yet women are the one who been solely blamed, discriminated and mistreated in their communities. The campaign will address this topic and encourage men to discuss openly their infertility and share the journey of infertility diagnosis and treatment with their wives”, Kelej added.